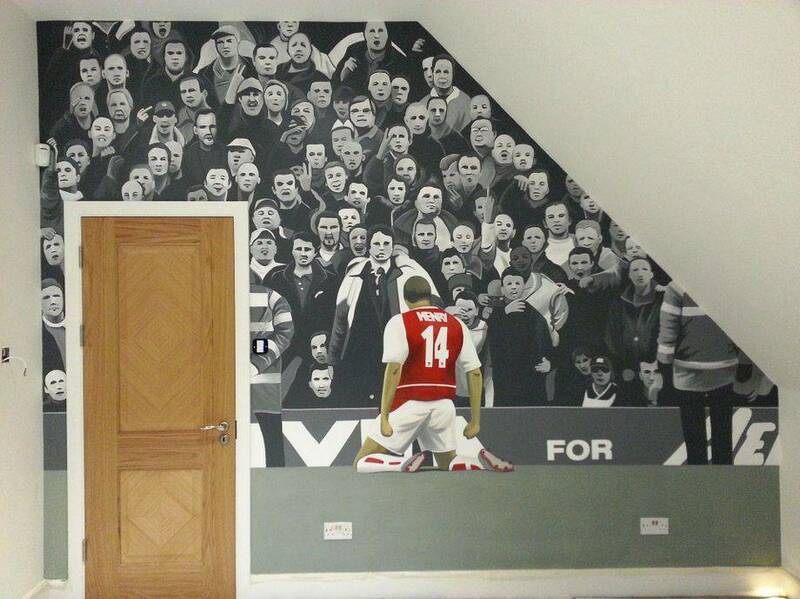 This mural of Thierry Henry in front of a an angry Tottenham crowd, was painted in a boys bedroom in Barnet. 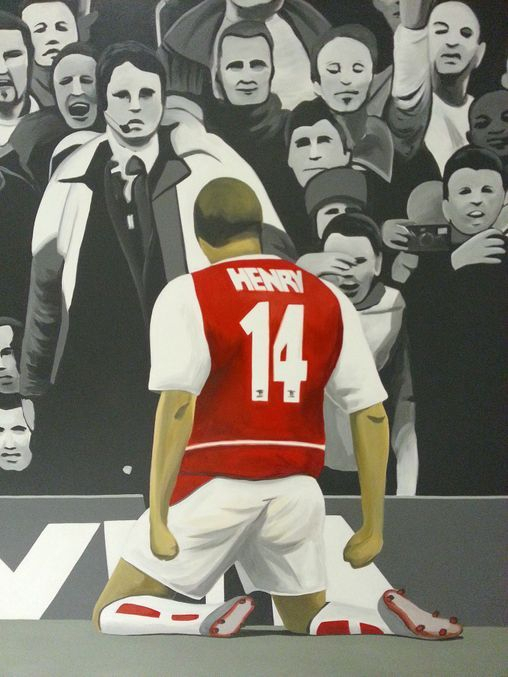 The crowd have been painted in black and white, with only Theirry Henry in colour to make him the main focal point. Due to the amount of detail that went into the back ground of this mural it took us 4 days to complete.